Van Lang University is a private university under the management of the Ministry of Education and Training. Every year, the school implements its admissions in compliance with the enrollment regulations and scheme of the Ministry of Education and Training which are publicly available on the website of the school and the Ministry. At present, Van Lang University recruits students nationwide based on their high school report card (regardless of the year) or the results of national high school exams organized by the Ministry of Education and Training in the year. The enrollment period is from April to August every year and average enrollment target is over 4,000 students per year. Van Lang University also organizes special talent examinations to recruit candidates in the fields of Architecture, Graphic Design, Fashion Design, Industrial Design, Interior Design, Piano, and Music. Van Lang University's gifted drawing competition, especially, has been recognized as a prestigious contest for many years, attracting nearly 1,000 contestants annually. In 2018, Van Lang University recruited enough targets for 30 majors in the fields of Economics, Engineering Technology, Architecture, Law, Social Sciences - Humanities, and Arts. 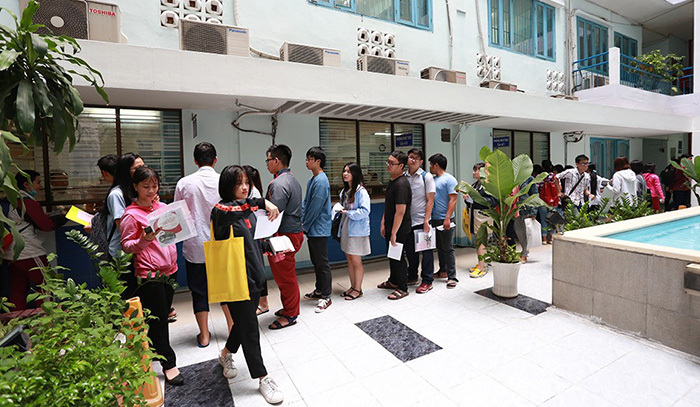 In order to prepare for school admissions each year, Van Lang University organizes a number of career guidance and counseling services for high school students in Ho Chi Minh City and several provinces. Career orientation focuses on the characteristics of the profession that Van Lang trains, helps students realize their full potential and raises interest of students in the field that students want to pursue. Typically, Van Lang University sends delegates and students directly to classes of high schools to teach vocational guidance. Besides, Van Lang sometimes welcomes the students to visit and experience the school. These are significant activities between Van Lang and high schools, which actually affect the annual enrollment. 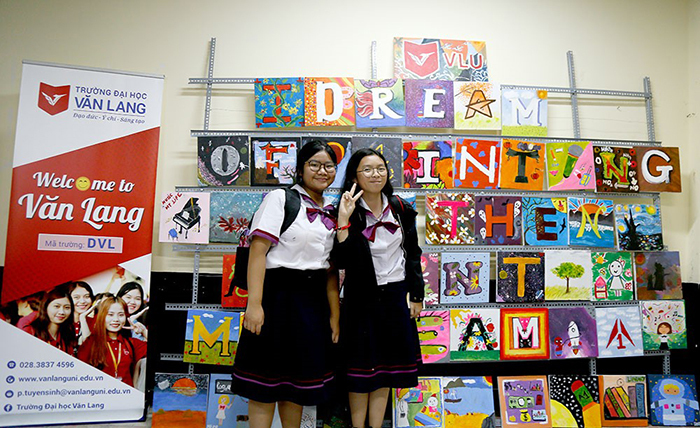 Students of Trung Vuong High School (HCMC) have learned Drawing happily with Van Lang (19/10/2018). After 5 years of implementing vocational guidance, the number of Trung Vuong students enrolling in Van Lang has increased significantly. 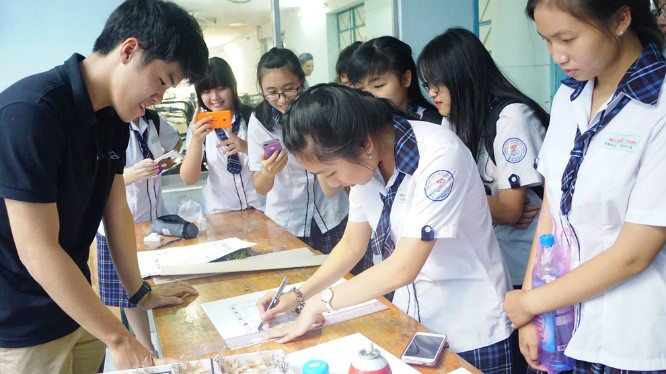 Students of Nguyen Tat Thanh High School (HCMC) visited and practiced architectural modeling with architectural students at Van Lang University (11/2016). Van Lang University has offered higher education in Environmental Engineering since 2012. To date, there are 77 masters having graduated from the school. The university continues to expand its graduate programs with six faculties in 2016 including Environmental and Resource Management, Architecture, Finance, Banking, Biotechnology, Business Administration, and Commercial Business. Each year, Van Lang University organizes two graduate admissions exams in May and in November. Students can register for the test preparation course at Van Lang University before the official examination. The average enrollment target for each discipline is 50 students per year. 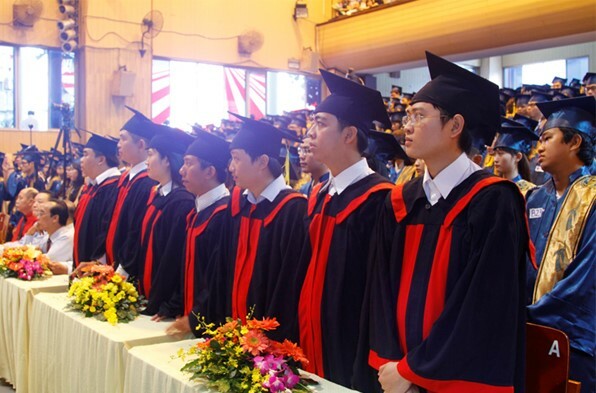 The first graduate students of Van Lang University graduated (7/2014).